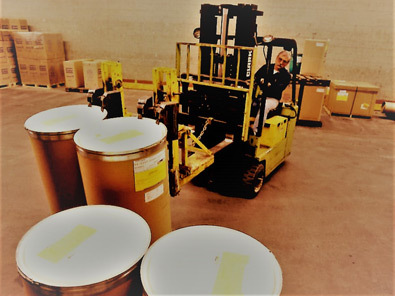 At Liftomatic Material Handling, Inc., we offer equipment specifically built to manage the entirety of the pharmaceutical industry’s drum handling tasks, including those that take place in an ultra-clean environment. Featuring exceptional quality and impressive performance, our equipment is engineered to lift, transport, dump, and maneuver drums safely and reliably in all areas of your plant. 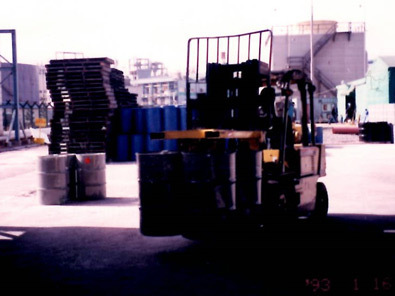 Our product line incorporates forklift mounted drum handlers, hoist/crane attachments, drum dumpers, and portable equipment designed to handle steel, fiber, and plastic drums. From incoming goods in your receiving area to the laboratory, blending area, and production department, we provide solutions to simplify and expedite the smooth flow of product. We manufacture sanitary stainless steel equipment that allows you to lift and accurately measure the weight of each drum as it flows into your production area. Along with drum dumpers that enable controlled pouring, measuring, and dispensing of drum contents, we offer both automatic and manual solutions that facilitate palletizing, storage, and shipping. 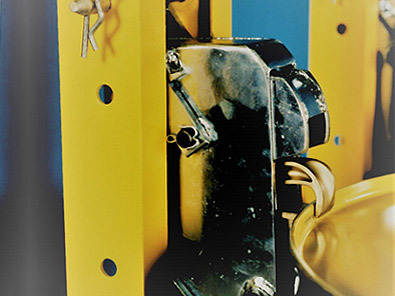 All of our stainless steel drum handling equipment features robust construction and smooth surfaces that withstand repeated cleaning and disinfecting to comply with stringent sanitary standards. We invite you to test drive our drum and barrel handling equipment to evaluate how it performs in your manufacturing area, testing and research laboratory, and in your shipping and distribution department under real-world conditions. Our on-site demonstration program provides direct evidence of how our solutions streamline your operations and solve all of your drum handling problems. Contact us directly to learn more about our equipment and arrange a trial run at your facility. Laboratories, production departments, blending areas, batch work, storage, shipping and receiving applications. On-site evaluation of drum handling requirements, ROI analysis, product demonstrations and trial policies.